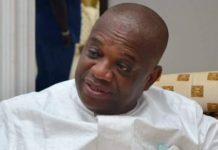 The All Progressives Congress (APC) should be rest assured they are in very safe hands in the South-East with Dr Orji Uzor Kalu as Deputy Senate President. In about two months time, the 9th National Assembly will be inaugurated and intense politicking is already underway regarding who leads the federal lawmakers in both Senate and House of representatives. Why this is not resolved yet, what remains certain is that the All Progressives Congress (APC) is going to produce the next principal officers in both chambers. In the red chamber, the APC has 25 seats more than the PDP while the ruling party is clearly ahead of the PDP by 100 seats in the green chamber. 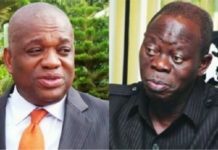 The APC national working committee is expected to reconfirm any moment from now which zone gets which position but while the wait is on, there is no doubt the South-East deserves to produce the next deputy Senate president — and there is no doubt Dr Orji Uzor Kalu, former Governor of Abia State and only APC senator confirmed so far, stands out from the region. Ordinarily, with the composition of positions in the executive and judiciary, it should have been the sole unarguable right of the South East to produce the senate president to balance the power equation. The South-East is the only zone that is obviously left out of the scheme of things both within the ruling party and at the national level . Therefore , the South East conceding the Senate presidency for Deputy Senate Presidency for whatever reason is expected to be heartily welcomed by other zones. Anything short of that could be regarded as hatred, gang up and wickedness against the Igbo specially after the North-East has been favoured to produce the Senate president, whereas North-West and South-West have President and Vice -president respectively, while South -South has the APC National Chairman . There has also been long cries of marginalisation which the South-East has continued to lament in the past years. By ceding the Deputy Senate presidency to the South-East which will leave Senator-elect Kalu in that position, it will go a long way to pacify the region by bringing it into the mainstream of Nigeria politics. The measure will in turn douse tensions and possible renew of agitation for separation. Although kalu is coming to the Senate as a first timer, He already has legislative experience from as back as 1992/1993 when he was a Federal Assembly legislator as well as his time in the House of Representatives. Many leaders from the South East have expressed their concerns on the calculated attempts to deny the Igbo their rightful place in the affairs of the nation and others have strongly wielded their support to Kalu for the position . Gov. Rochas Okorocha of Imo state , Chief Emmanuel Iwuanyanwu , Chief Chekwas Okorie have all differently warned against shortchanging the rights of the Igbo on the alter of excuse and hatred . 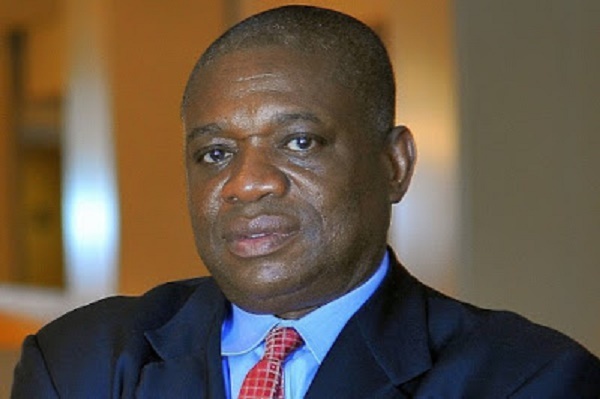 On party level , Kalu has proven to be a true representative of the APC in the region and has continued to raise the party’s flag high despite the opposition from opponents. In the last election, he delivered Abia North for the APC including two House of Representatives seats and Members of House of Assembly. Perhaps, the most obvious reason why Kalu should be supported in his ambition as number two helmsman in the Senate is his unalloyed loyalty and support for the party. Through thick and thin,the philanthropist has stood by the party and President Muhammadu Buhari, despite the perceived disliking for the ruling party in the South-East region. 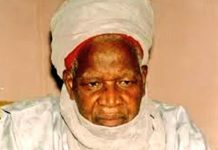 For instance, in the build-up of the campaign, the former governor had led a delegation to the residence of former military Presidents General Ibrahim Babangida, General Abdulsalami Abubakar, Governors of Jigawa, Niger, Katsina and several traditional rulers in the North and South where he solicited his support for the president. He visited these leaders to convince them on why they should support president Buhari for 2019; to finish his second tenure. His foundation Orji Uzor Kalu foundation also relocated to Maiduguri in Borno state where it’s huge philanthropic gestures were extended to the people . So what best way is there to reward a loyal party man who has stood out against all odds, sponsored and supported many activities for the success of the party . According to him , “the party has zoned the Senate presidency to the North-East and I want to respect the party’s will; but the second position is what we are not going to allow to leave the South-East. I have suffered for the party and have been called by Nigerians to come out. I want the party to respect the will of every other person and I’m committed to democracy and contesting on the floor of the House.” He stated . 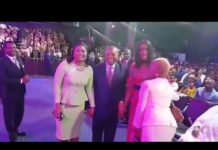 Nigerians and the international community especially Kalu’s fans and supporters are grateful to God for sparing Kalu’s life during his campaign for the APC. More than twice , he escaped assassination attempts when thugs suspected to be hired attacked his convoy . But the attacks couldn’t stop him from continuing his campaign for the APC to secure victory for the party and President Buhari. The former governor is a successful leader in business and politics with deep legislative experience and he is proven to be a true representative of the APC in South East region. One can attest to this with the massive votes APC garnered from the zone in 2019 compared to that of 2015. He has continued to raise the party’s flag high despite the opposition from opponents. Indeed, it is clear to even the blind that there can be no better candidate for the position of Deputy Senate President than Kalu who, because of the APC, has been called all sorts of names by his traducers and opponents all to paint him black — but they never succeeded.